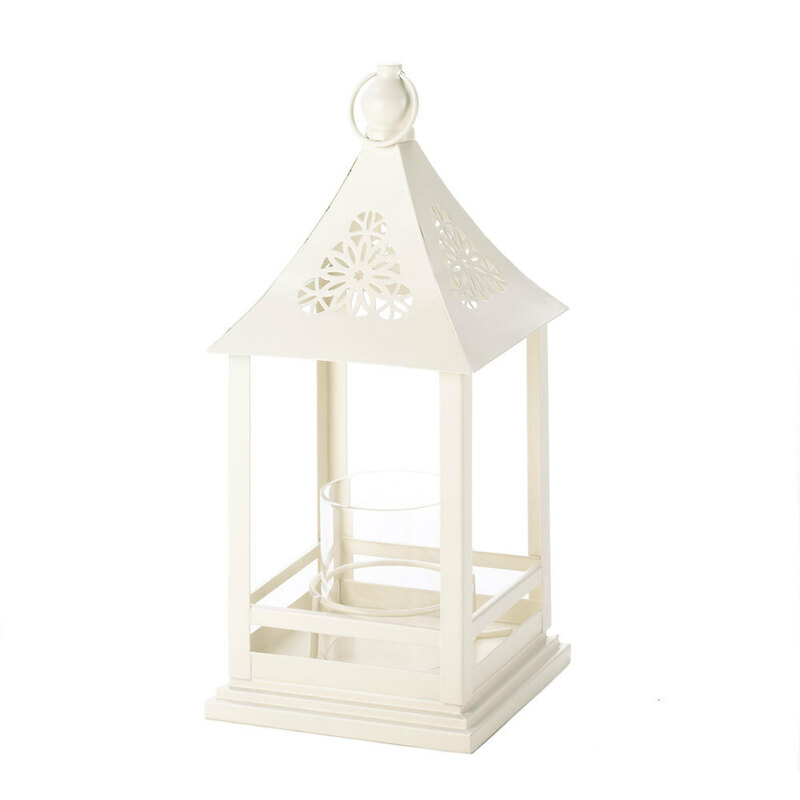 A twist on the traditional candle lantern, the Belfort Lantern features a metal frame that harbors a round glass candle cup. 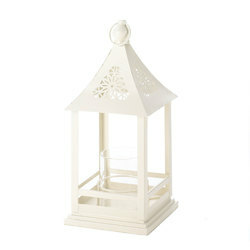 The metal structure is painted white and has a top loop for hanging, and the roof features beautiful floral-inspired cutouts. Item Weight: 0.8 lb. 5½" x 5½" x 12" high. Iron and glass. Candle not included. UPC: 849179009632.